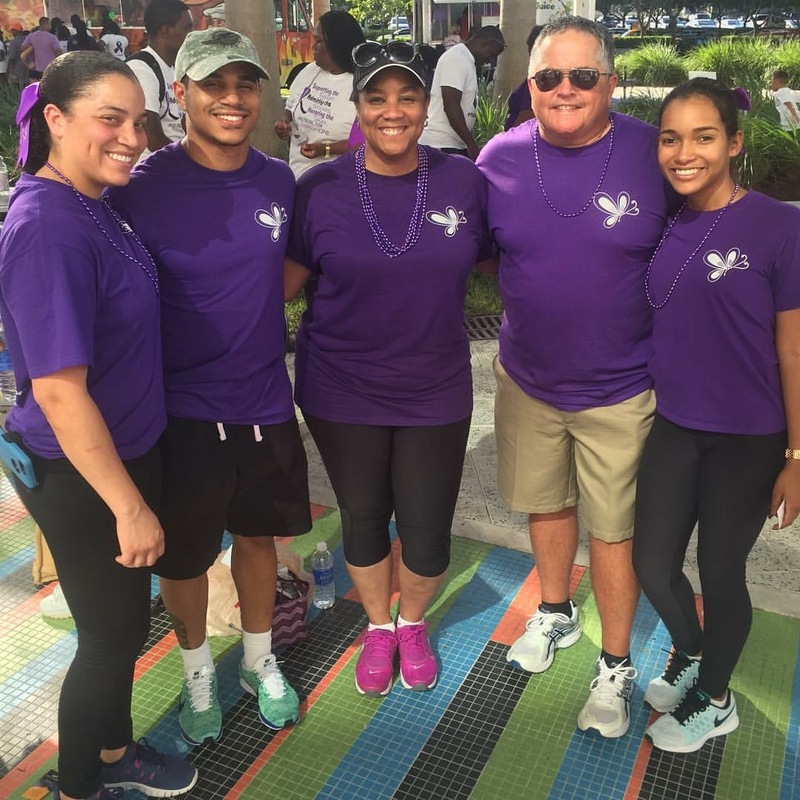 Alyshia Merchant knows first-hand how lupus can affect you inside and out. 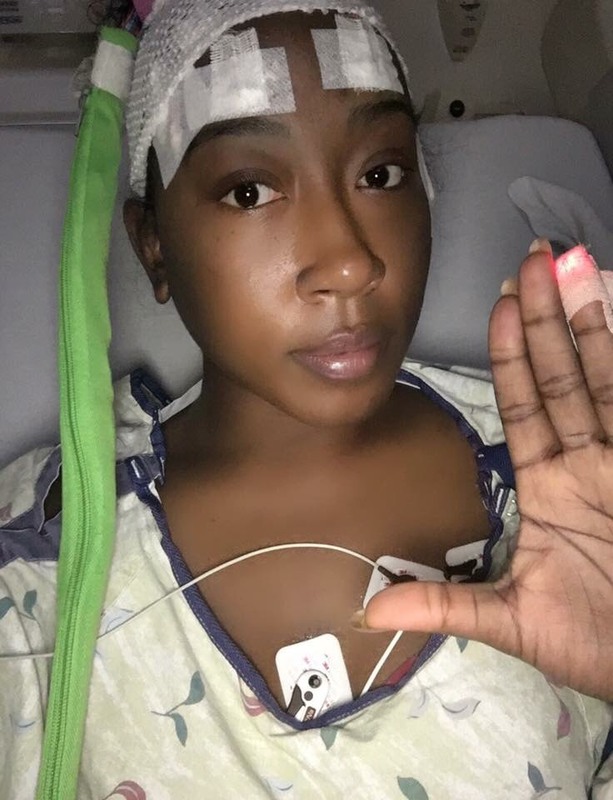 After her diagnosis in 2012 and struggles with visible symptoms and self-esteem, she launched an organization called Making Lupus Look Good, which provides wigs and “glam sessions” to people with lupus-related hair loss and other symptoms. The organization currently serves people in Alyshia’s home state, Virginia, but she hopes to establish a 501(c)(3) and take the organization to a national level soon. Alyshia recently shared more with us in this Q&A. Can you tell us more about Making Lupus Look Good and what inspired you to start it? My entire experience with lupus has affected my self-confidence tremendously. I would take pictures of myself and compare them to older pictures, and it was a very emotional experience. In the midst of my struggle, I developed a passion to help rebuild the self-esteem of other women living with the same insecurities that I struggle with day in and day out. My life is now dedicated to helping women see that they are still beautiful – despite whatever insecurities lupus may throw their way. It was my own pain that inspired me to create Making Lupus Look Good. I’ve found that there’s so much healing in helping others. Right now, we run our organization based on volunteer hairstylists, makeup artists, estheticians and photographers. If a patient needs a wig due to hair loss, we begin an “Adopt-A-Patient” fundraiser. With this program, we raise funds to purchase the hair and create a custom wig for the patient. So far, we’ve only been able to provide our services to patients in Virginia because of limited resources. However, we recently partnered with Xtensions4Us, a hair company located in Independence, Missouri. With this partnership, we’ve created a bridge and we’ll be able offer services on a nationwide level in January of 2019. We are hosting a fundraiser, An Evening Of Hope, on December 21 (keep an eye out here for event details). We plan to use a portion of the proceeds to finally become a 501(c)(3), so that we can change even more lives. What happens in a “glam session”? Some of the many challenges associated with lupus include hair loss, skin disfigurement and, in many cases, weight gain from medications (chronic fatigue also makes working out very challenging). 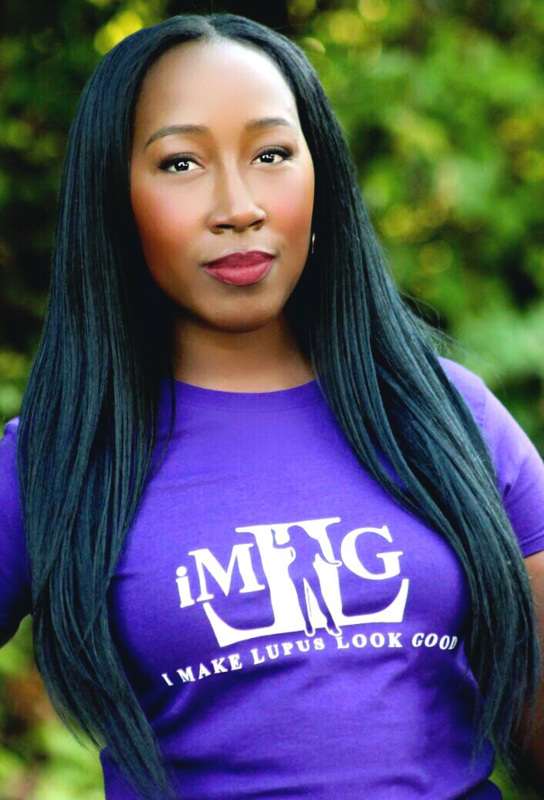 Because we understand how devastating these symptoms can be for a woman, Making Lupus Look Good offers a full glam experience, including a makeover/photo shoot, custom wigs if needed, as well as one-on-one skincare consultations and health coaches. All of these services are free of charge to the patient and are intended to help restore the self-esteem that these women have lost during their battle. How has lupus affected your physical appearance? Any pointers for coping with visible symptoms/treatment side effects? Many symptoms affected my self-esteem, including the classic butterfly rash across my face and weight gain – not only from steroids used to suppress my immune system, but also from edema when lupus was attacking my kidneys. I would carry around about 30 pounds of painful fluid in my feet, legs and stomach. Macular edema was another struggle for me – it caused swelling and puffiness around my eyes. Out of all of the symptoms that I’ve encountered, hair loss hit me the hardest. I would lock myself in the bathroom and cry for hours. Whenever I’m dealing with hair loss, I go out and find a very stylish wig that flatters my face. I’ve found that as long as I’m not putting any stress on my hair by pulling and tugging, it will grow back. If I’m experiencing swelling, I cut down on sodium, which helps me battle weight gain and water retention. I also go out and buy a few inexpensive pairs of stretchy jeggings. This not only makes me feel confident, but it’s also less painful than wearing a pair of blue jeans that are too tight. And when I’m experiencing puffy eyes, which is very common for lupus nephritis patients, I use a cool facial mask for about 20 minutes. This usually helps. But if for some reason my eyes are still swollen, I simply put on a pair of nice sunglasses. Keeping up appearances while managing a serious condition can be tough – what’s the value of trying to look good when you’re not feeling great? It was a long and hard journey adjusting to all of the changes that lupus has thrown my way physically, because I’d always based my beauty on just my looks. But I was humbled. And I learned that I am more than just my looks. We all are. Yes, it’s hard while it’s happening, and it can beat you down at times. And that’s OK – as long as you get back up. Surviving hard times makes you a stronger person. And as long as you keep a positive mindset, you’ll find that most things aren’t as serious as you thought they were. On days when you’re feeling off, go shopping. Go out and get some new comfy clothes, put on some makeup, throw on those sunglasses and go. At the end of the day, it doesn’t matter what anyone else thinks or sees, as long as YOU feel good. Because I believe that if you feel good… you can beat it. On PatientsLikeMe about 34,000+ members are living with lupus. Want to connect with them about topics like this? Join the community or log in today.